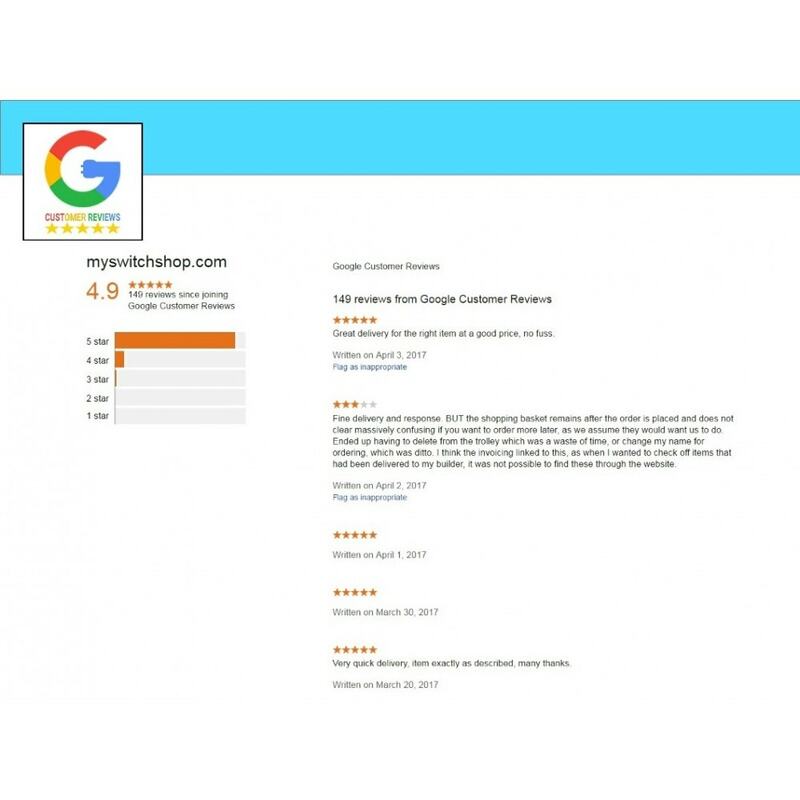 Google Customer Reviews module allows you to collect customer reviews for your shop, feedback from users who have made a purchase. 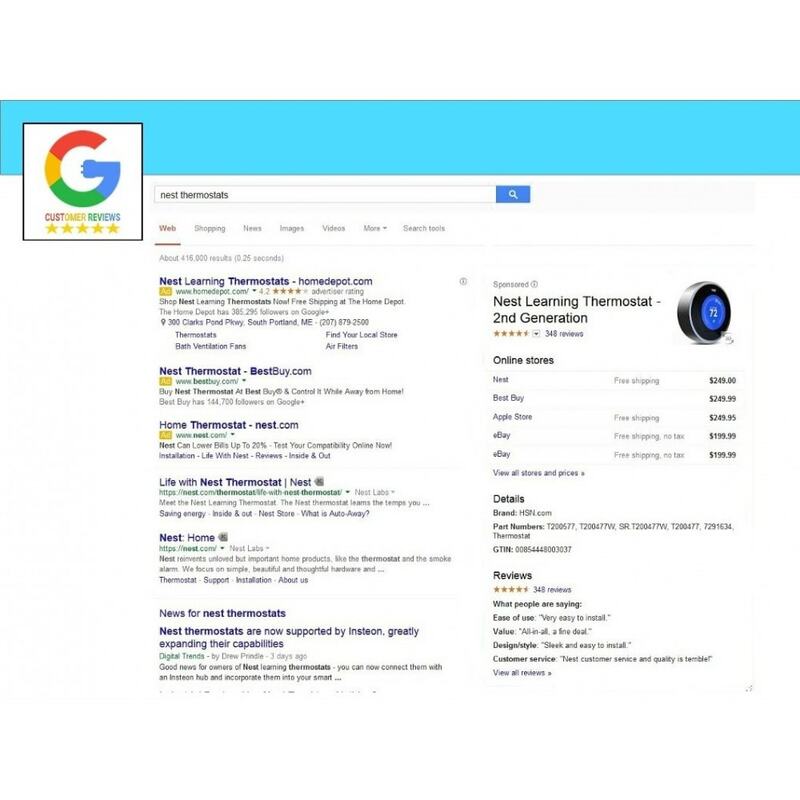 Those reviews will be displayed on Google search and Shopping, plus with a badge activable on your website. 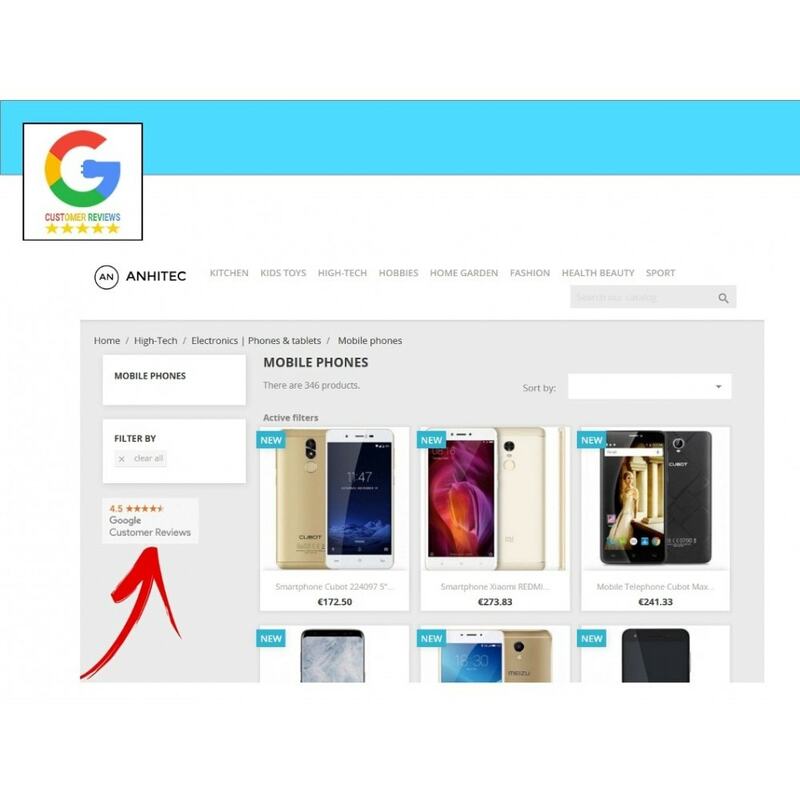 Our Special Feature enables you to display the Badge in one of those multiple positions: footer, product page "reassurance", left column, right column, bottom left and bottom right. 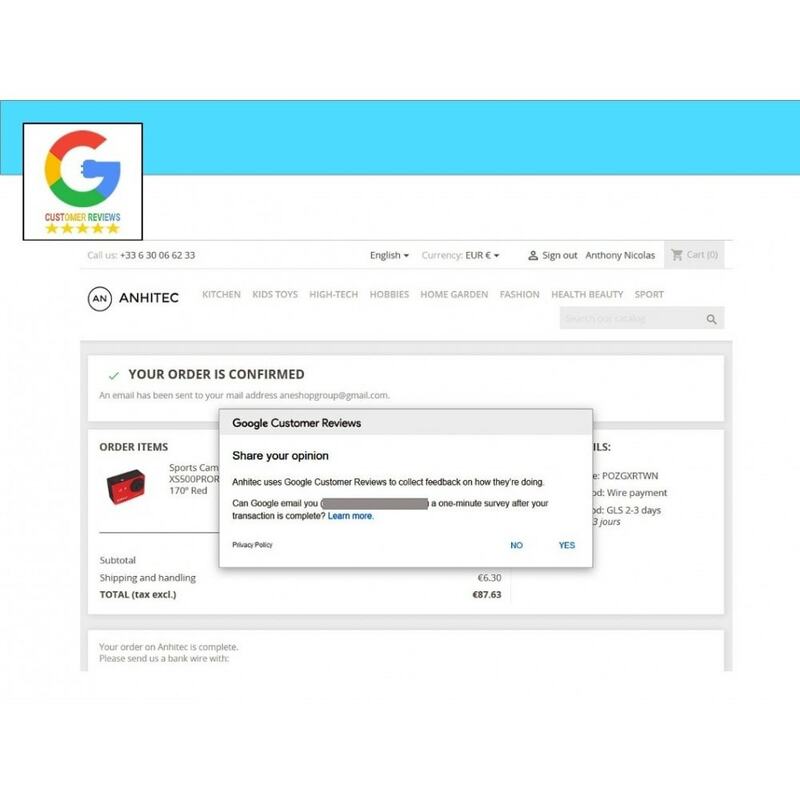 Google Customer Reviews opt-in: An offer that appears to all customers after checkout. 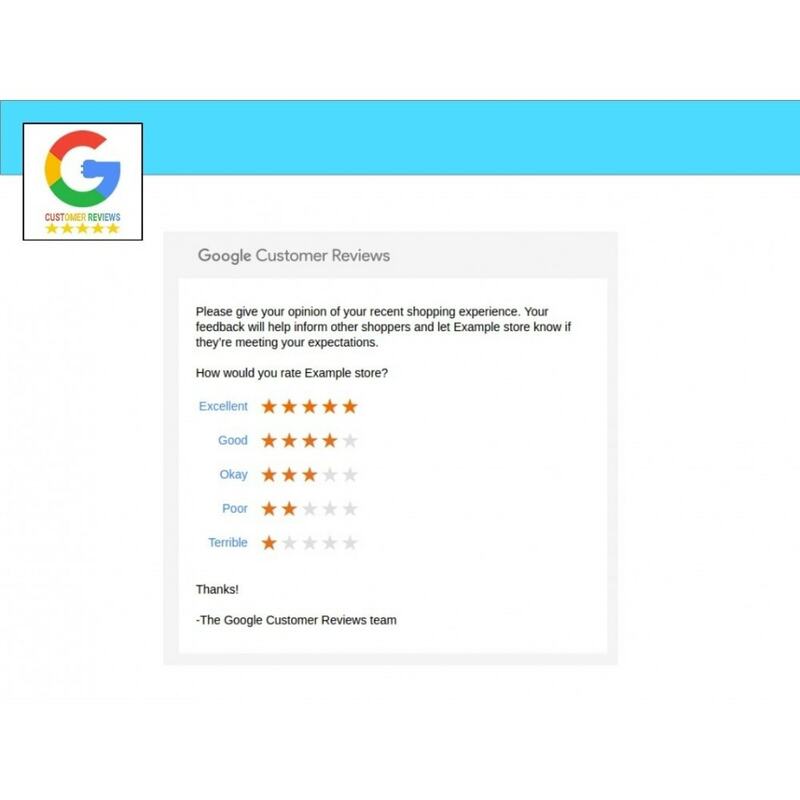 Users who opt-in will receive an email from Google Customer Reviews asking them to rate their experience with your store. 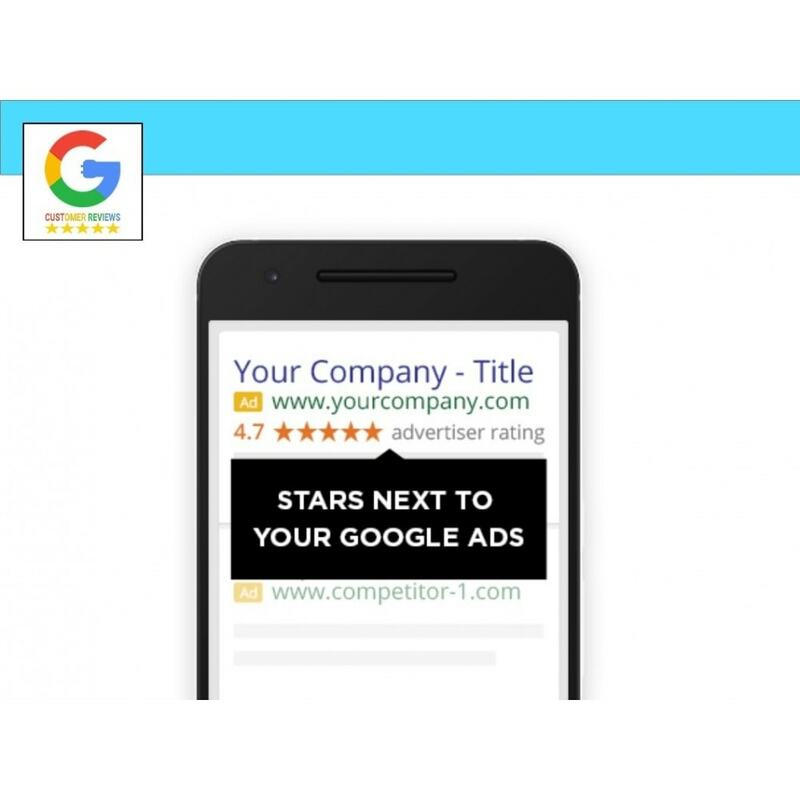 Seller ratings: An aggregate score that appears on Search ads and Shopping ads, as well on Google Customer Reviews badges. The PHP version of your server needs to be over PHP 5.4. If you have any additional questions or problems with the module, please get in touch with us, we will do our best to assist you with your inquiries and instantly solve any problems. 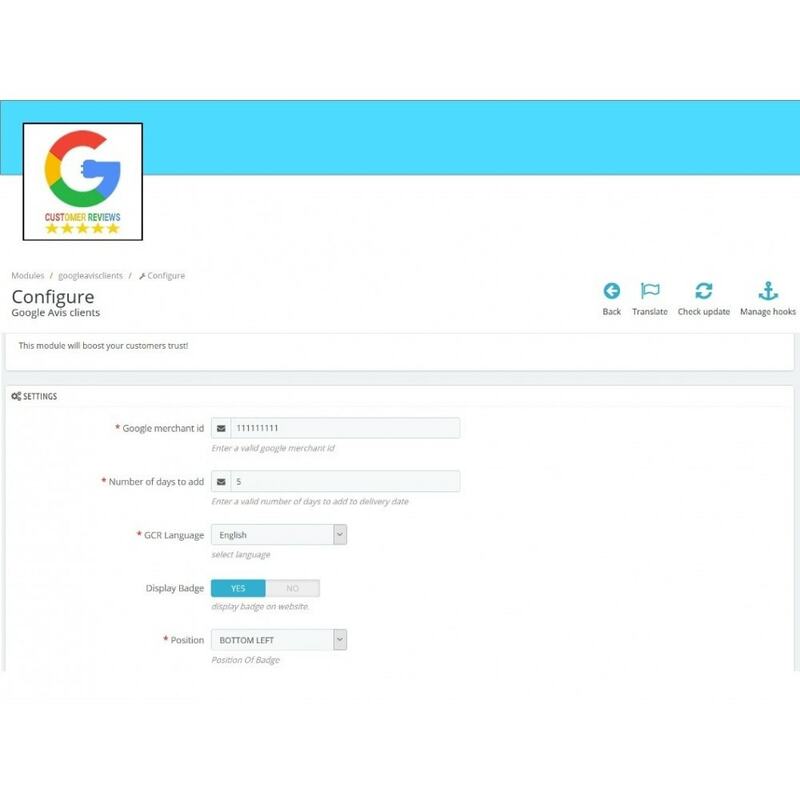 You can also choose where to display the Badge, it can be shown in one of this positions: footer, product page "reassurance", left column, right column, bottom left and bottom right. The last two cause the badge to float in the bottom right or left of the page. 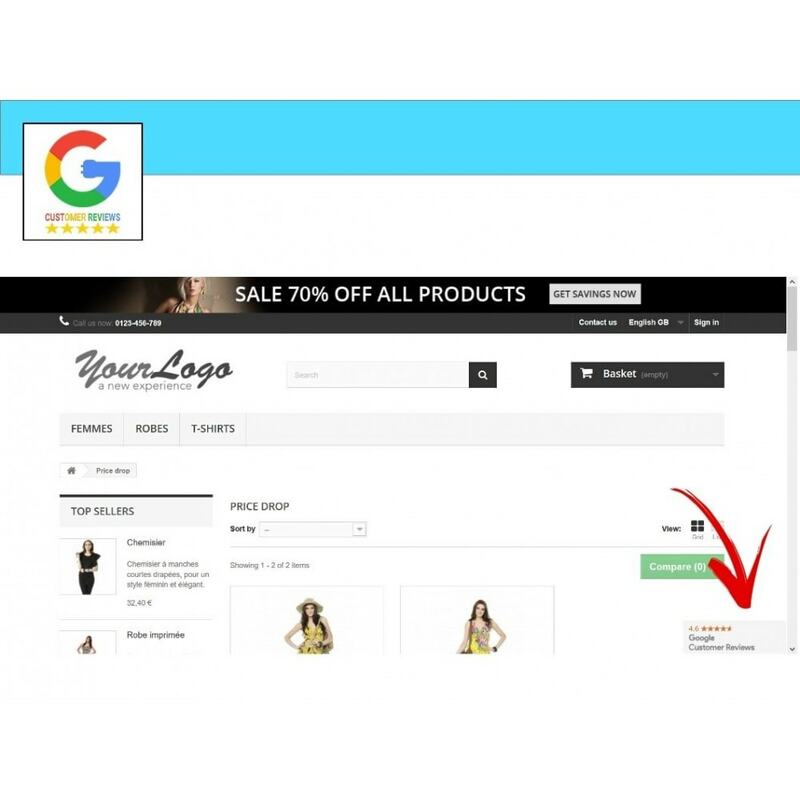 Eshop Filters with Faceted search module for Prestashop 1.7 use range sliders to filter products via price and weight. This feature has been disabled for Prestashop 1.7, the module will allow you the easy way to filter. You will collect your customer 's feedback through customer service that triggers an email with a Smileys Survey. 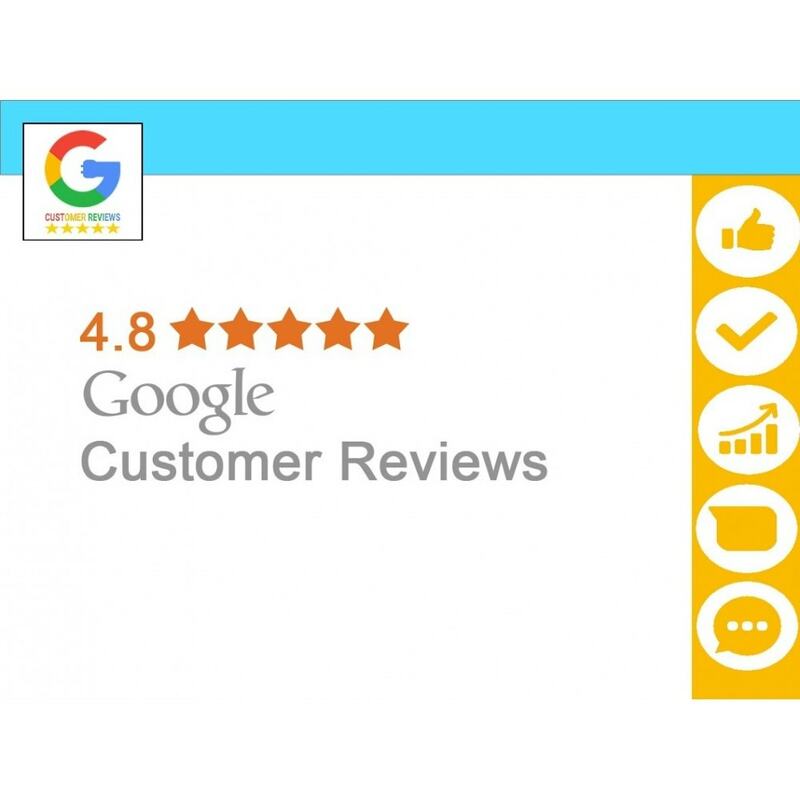 Get to know the customer 's satisfaction with your services, and products. Fast, fun and easy way of engaging your consumers.